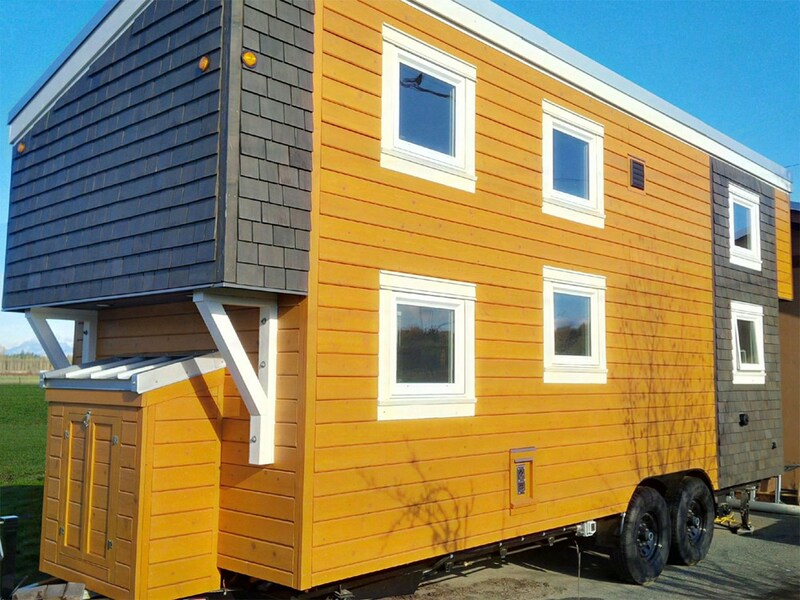 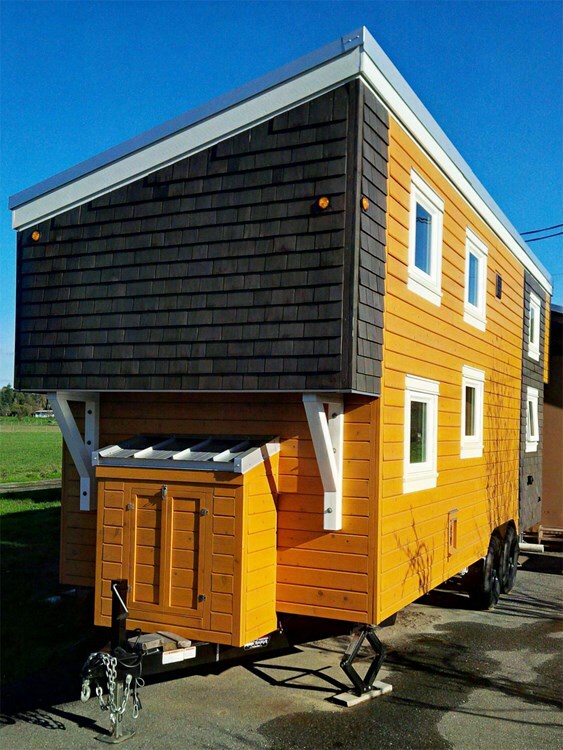 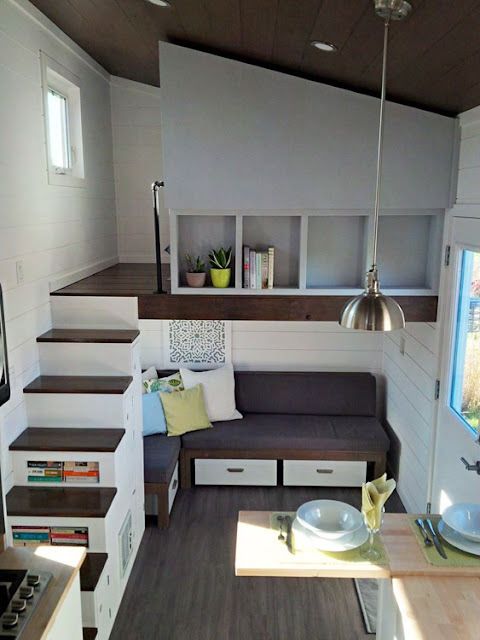 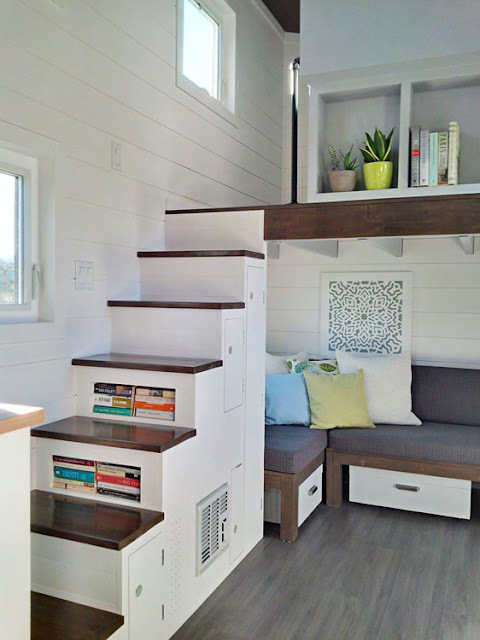 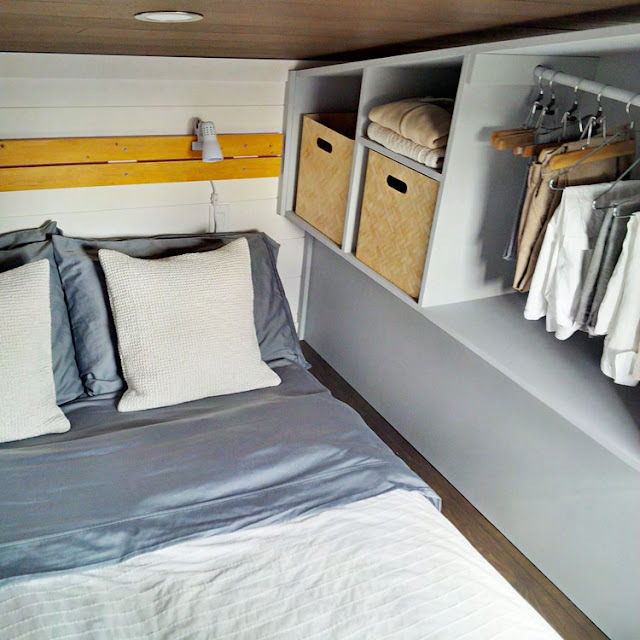 This brand new and custom-built tiny house is currently offered for sale in Surrey, Canada! 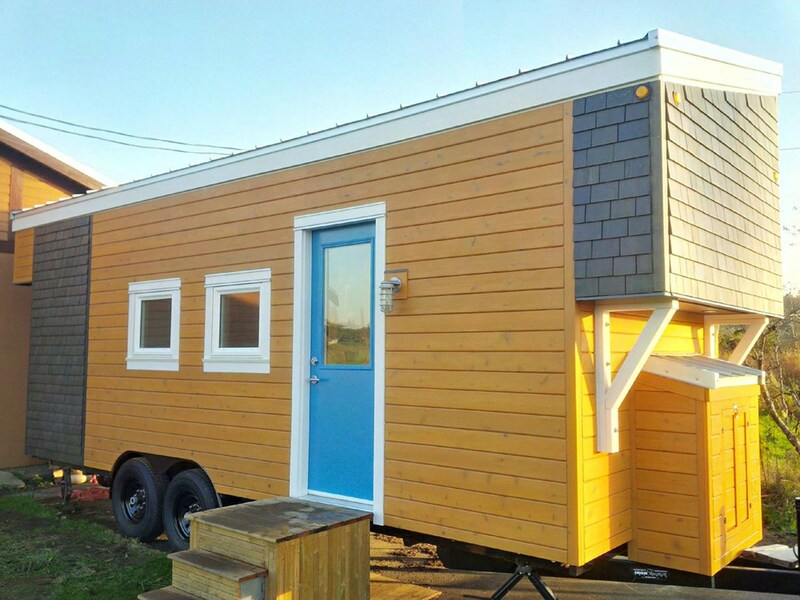 The home is CSA RZ240 certified and Transport Canada approved for travel! 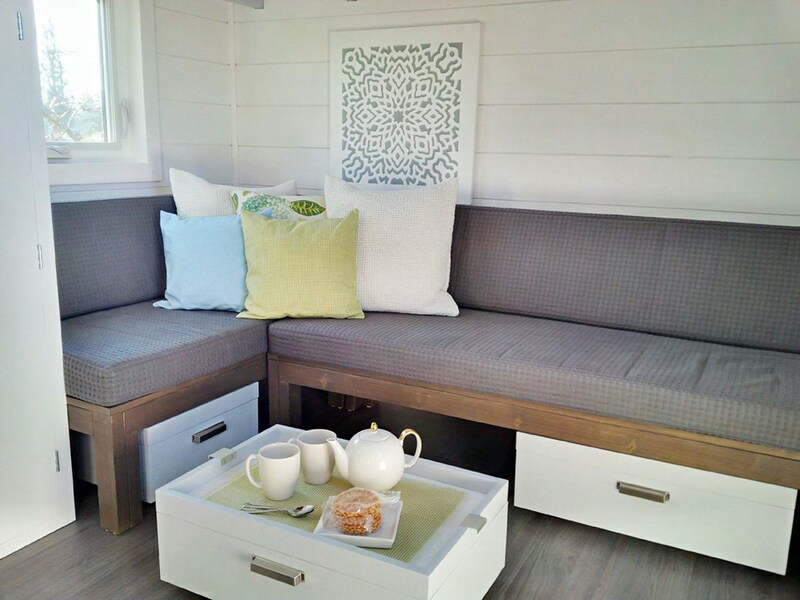 The home’s interior features a bright spacious area with a contemporary aesthetic throughout. 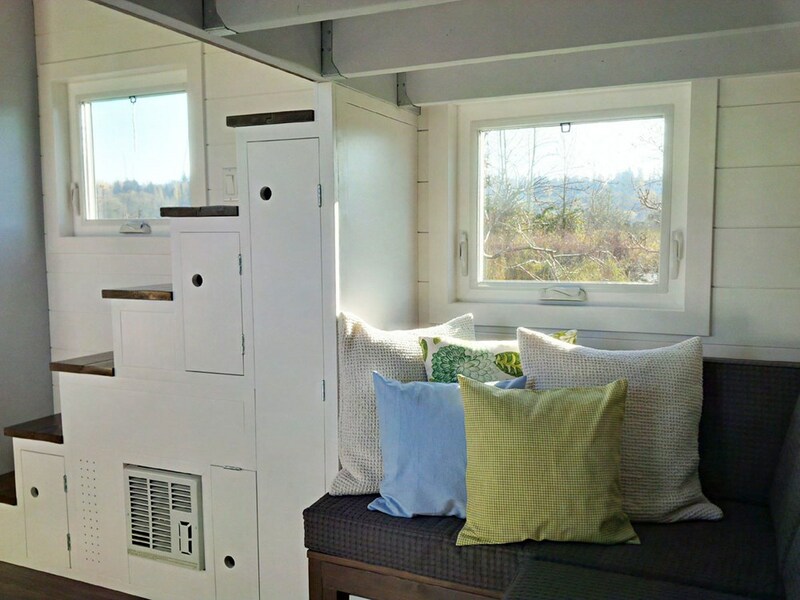 It’s completely insulated to withstand chilly Canadian winters and comes with high-efficiency tempered glass and is fully rain screened for maximum efficiency. 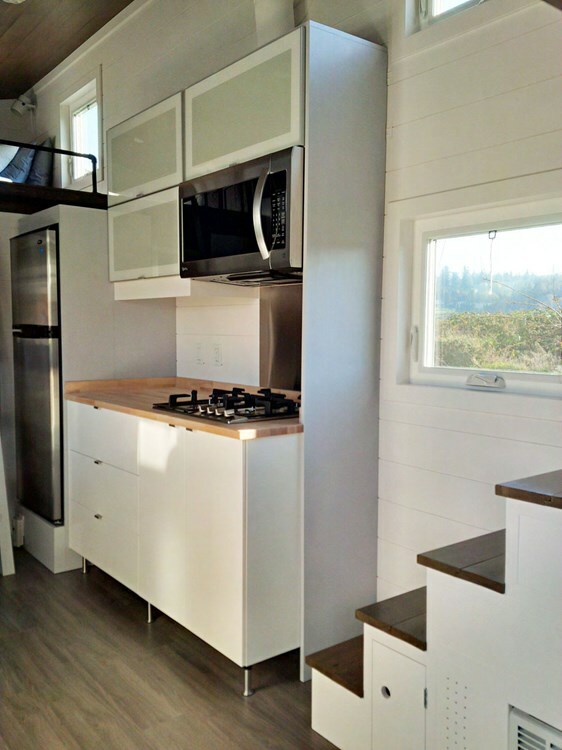 The kitchen features all stainless steel appliances including a 10 cu. 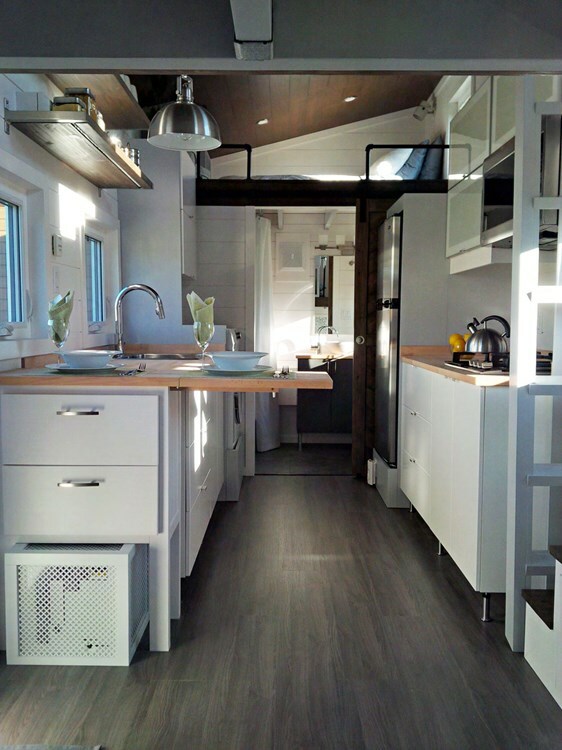 Ft. refrigerator, a four-burner propane cooktop, a full-size convection oven, and even a stainless steel backsplash. 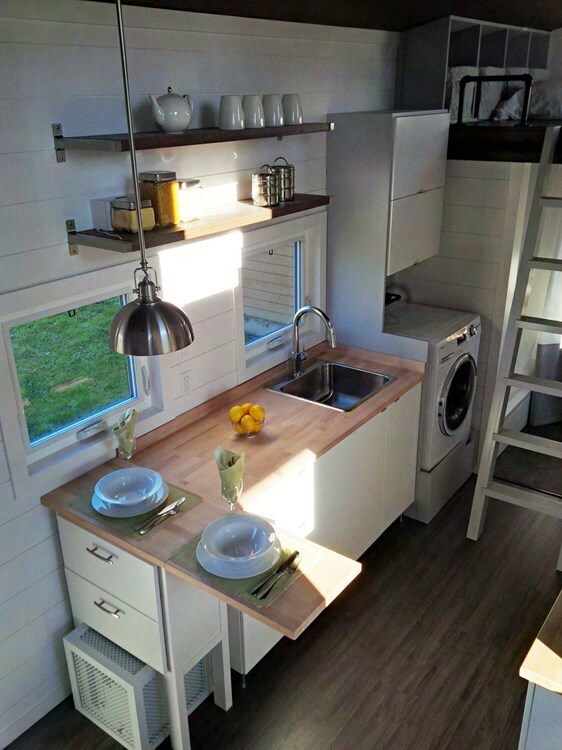 The counters are solid butcherblock that fold over on one end to create dining space for two. A washer/dryer combination is also provided. 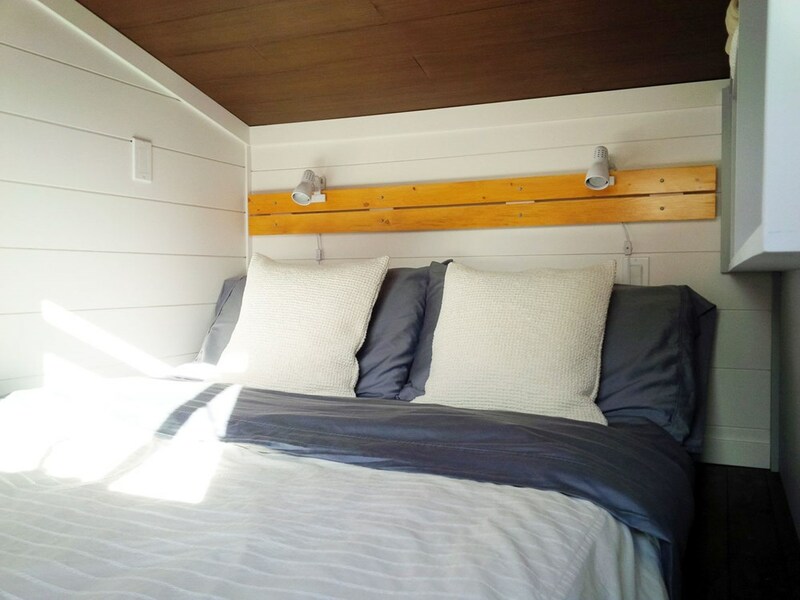 The master bedroom offers 5-ft of headspace. Accessible by stairs, there’s a full privacy wall with a built-in closet and room to accommodate a queen-sized bed. 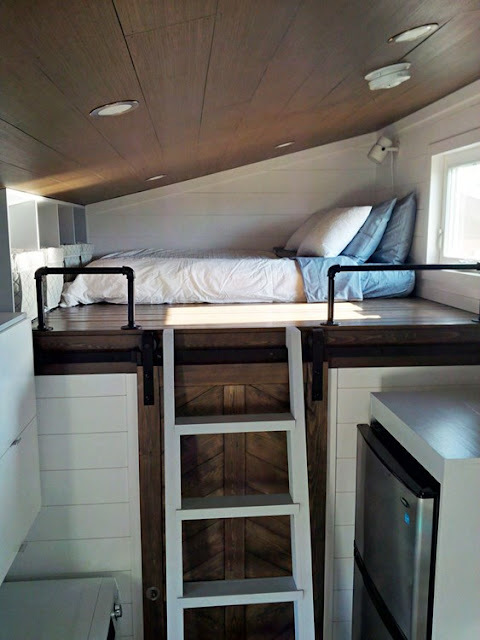 A second bedroom is also available. Accessible by a ladder, it also has room for a queen-sized bed and has a built-in closet and railing for safety. 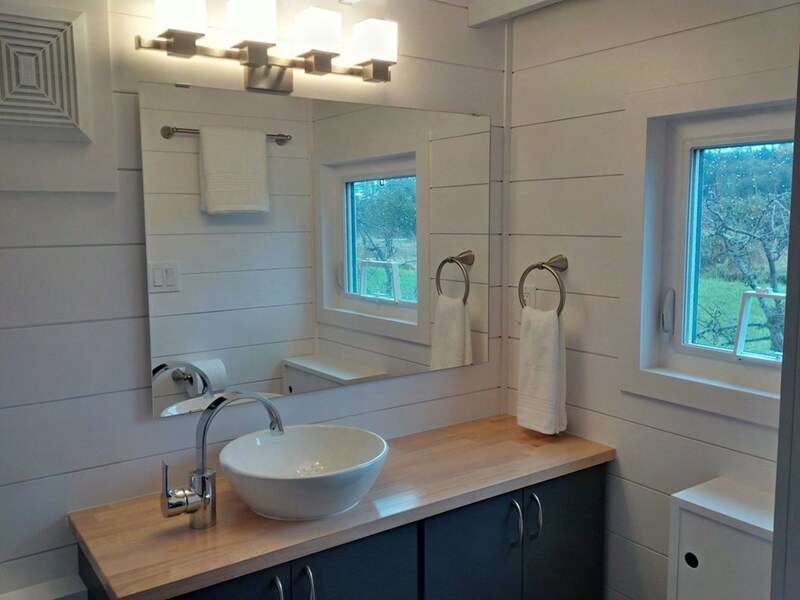 Through a custom barn door is the home’s bathroom. 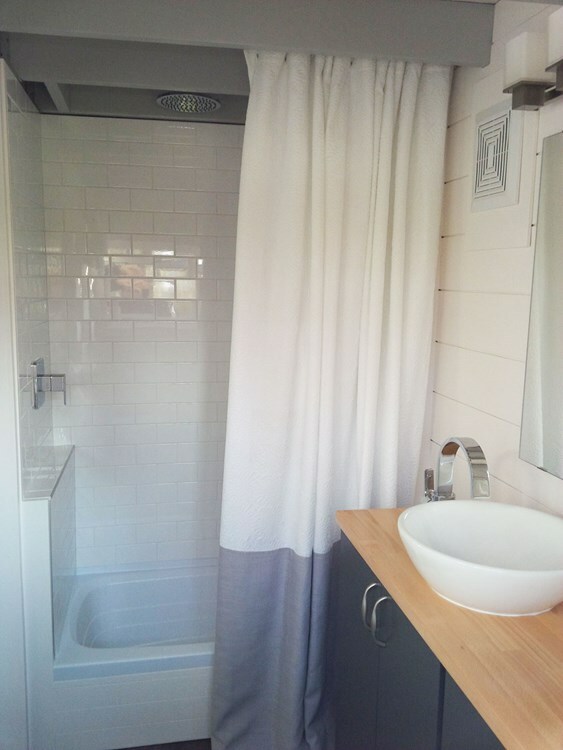 There’s a tiled shower that spans 40” x 24”. 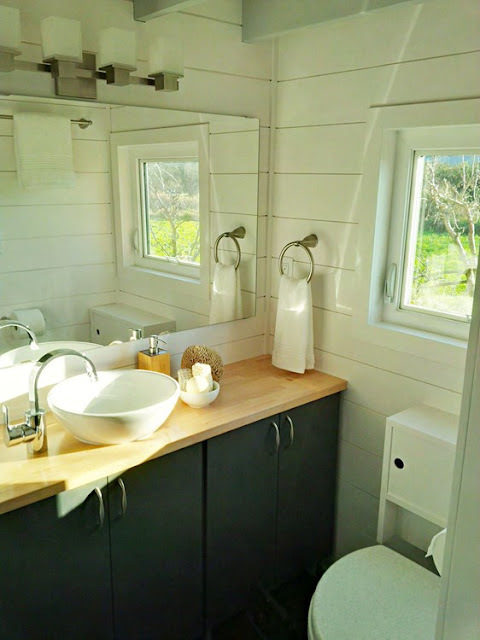 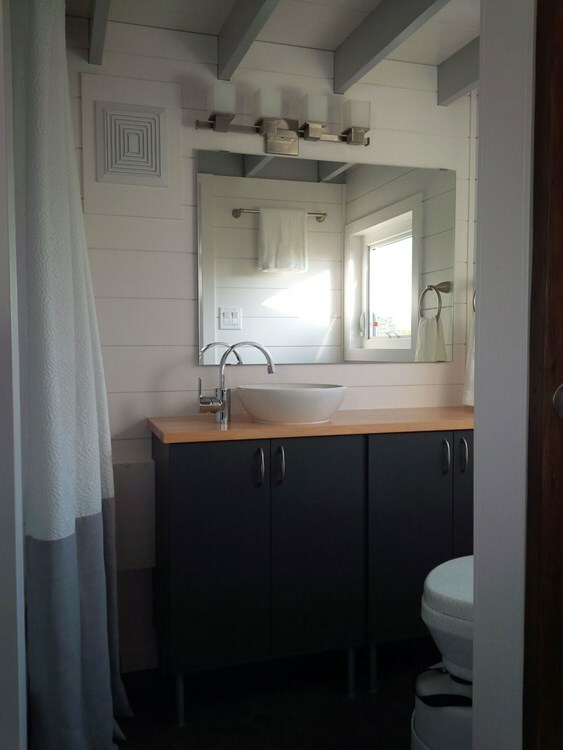 A composting toilet is also provided in addition to a 4’ vanity with a vessel sink and ample storage.